Radiance Electric Fires Promotion Extended! The Radiance electric fire promotion has recently been extended with even bigger savings. 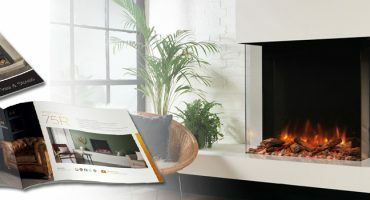 This electric fire promotion will now end on June 3rd 2019. 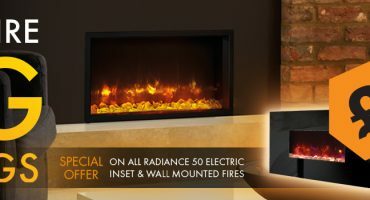 Home » Blog » Posts » News & Updates » Radiance Electric Fires Promotion Extended! What is the Radiance electric fire promotion about? The ‘Small Fire, Big Savings’ promotion gives you £200 off our wall mounted 50W electric fires and £300 off 50R our inset fires*. If you are looking to add a warming visual or add some localised heat to virtually any location in your home, these electric fires are not just for lounges, but for studies, kitchens, conservatories and even bedrooms too! With an extension on this excellent promotion (extended until June 3rd, 2019), now is the time to take advantage and add a stylish focal point to any room in your house especially with those chilly spring-summer evenings approaching! Both wall mounted and inset Radiance electric fires come with a thermostatic remote control. The sleek handset gives you full control over the fire’s host of features, including temperature control as well as flame brightness levels and colour. You can also access the Radiance’s programmable heating options and innovative energy saving features, for complete control. Why choose a wall mounted Radiance electric fire? If you are looking for an easy hang-on-the wall installation, our wall mounted Radiance electric fires adds instant focal point to almost any room with no extra building work required. Our eye-catching Radiance 50W Glass electric fire is available in either Black or White glass, each perfectly encapsulating the Radiance’s flickering flame effects. Wall mounted Radiance fires are available with an optional semi-recess kit, allowing you to reduce their already slim depth by almost two thirds when fitted into a pre-constructed 90mm wall cavity. Read more about choosing a wall mounted electric fire. 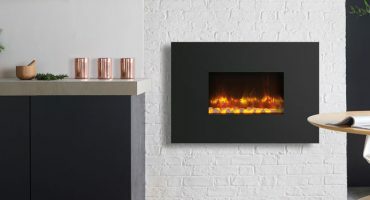 Why choose an inset electric fire? For under-stated style, the Radiance Inset’s frameless design creates a strikingly contemporary and integrated look. Fitting flush to the wall, the inset version ensures a streamlined, seamless appearance for a minimalist design statement. Whether you’re looking to add style to your study or luxury to your lounge, the Inset models can even be fitted into a wallpaper surround, allowing papering to the fire’s edge for seamless integration with your home. The Radiance 50R electric fire can be selected as either a hole-in-the wall option or as a Verve XS curved frame can be added for extra presence and aesthetic appeal. Where can I take advantage of this electric fire promotion? Visit one of our expert Gazco retailers to take advantage of this fantastic promotion! Download our latest Radiance brochure now. *When compared to recommended retail prices as of August 2018. New electric stoves and fires brochures including the latest Skope! Compact Radiance 50W and 50R electric fires for every home! Radiance Electric Fire Promotion – Small Fire, Big Savings! If you do not have a login please request one here. © 2019 Stovax Ltd. All rights reserved.